Magik Theatre on the Road: Unforgettable Adventures Without Leaving Your School! Want to take your students on a journey but can’t afford the rising cost of buses? 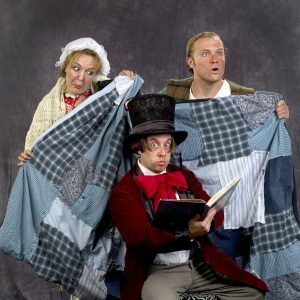 Magik Theatre on the Road brings fun, lively performances to children ages 3-12. Reserve this interactive experience for your students today. To book a show, please call 210.683.5089 or e-mail Lilly Canaria. Simply watching a Magik production meets several of your students’ dramatic and literary TEKs needs. Click on a play title below to download the Classroom Guide. *For shows outside Bexar County, please contact for pricing. Can I book a show for something other than a school? Our shows also make great birthday parties or entertainment at special family events. Call for more details about tour availability. Do we need to have a stage? At your facility, all our shows require is an empty space. 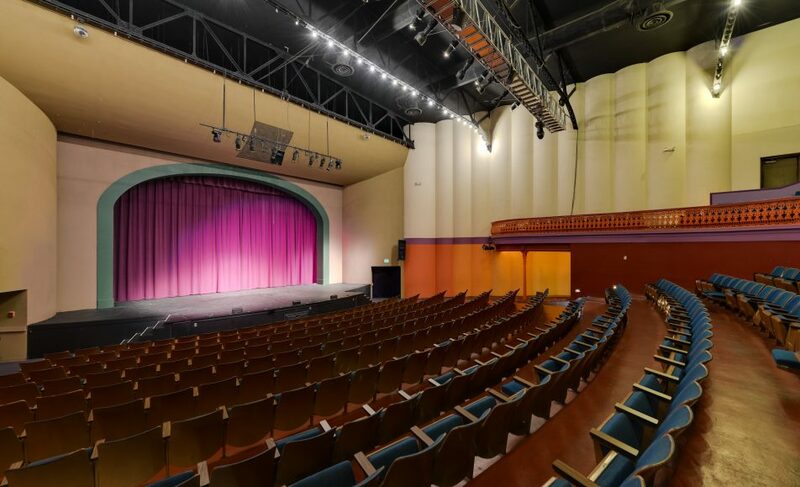 We will bring all of our own equipment and can perform in a large variety of venues, from classrooms to stages, cafeterias to gymnasiums. 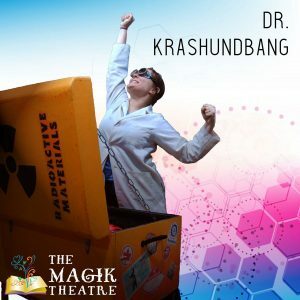 Dr. Krashundbang is an interactive one man show that seamlessly blends science and theatre into an exhilarating lesson through experimentation and humor. 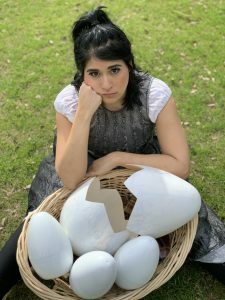 With his/her exciting and (mostly) harmless experiments, Dr. Krashundbang will demonstrate the scientific method and bring the physical sciences to life. Your students will never look at science the same way again, and will have so much fun they’ll never know they are learning. Dr. Krashundbang is a great show to help reinforce those pesky science TEKS requirements. Join Dr. Krashundbang on his journey of scientific discovery! Would you trade your best friend for three magic beans? When Jack does, he gets high-altitude adventure and more gold than he could ever spend. Even so, Jack is unhappy. Find out what happens when Jack learns that a true friend is the greatest treasure in the world. Don’t miss the chance to bring this classic fairy tale to life for your students – follow us as we climb up to the wondrous world of the beanstalk. Suitable for all ages. The story tells of a homely little bird born in a barnyard who suffers abuse from the others around him until, much to his delight, he matures into a beautiful swan, the most beautiful bird of all. The story is beloved around the world as a tale about personal transformation for the better. For more than 100 years Texas was a Spanish Colony known as “The Kingdom of Texas” – that’s just one of many Texas facts in this crash course in Texas lore. 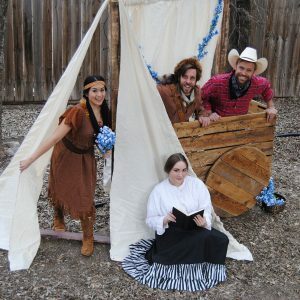 Including stories like the Legend of the Bluebonnets, the tale of Pecos Bill, and of course, Davey Crockett and the saga of the Alamo, this show is sure to make your students experts in all things Texas. Magik on the Road tour shows are typically booked at schools or for private events. 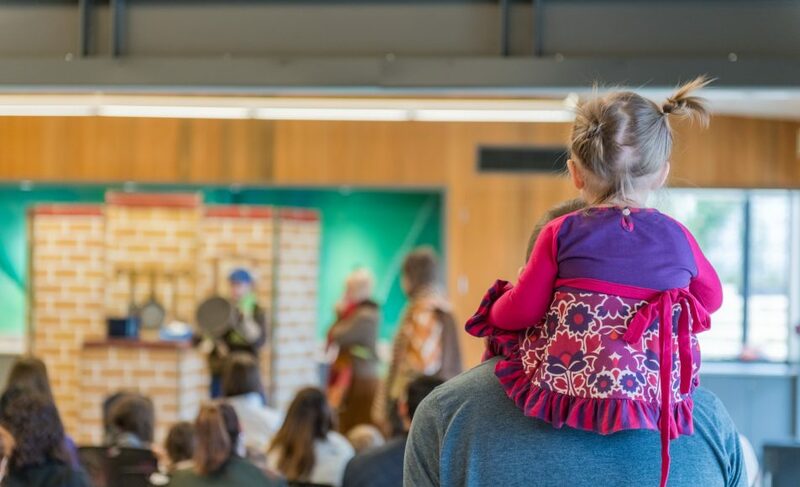 For a limited time, you can see our most popular tour shows on the Magik stage or at the Botanical Garden. Click on a location for dates and show information.